I just wanted to post a quick random note covering a variety of topics. 1. Happy Memorial Day- Today I would like to make a memorial to the people who have passed on in my life. Especially my Grandpa who lived a sweet and peaceful life. He loved all people including me and I will always love him for that. He didn’t see me as his fat granddaughter but just his beautiful granddaughter. He is still my model for what I want to be like. I miss him every day and I am so grateful to have had him in my life. He is my angel. Doesn't he seem so lovable? I would also like to pay tribute to my sweet cousin Lisa who has passed on and my cousin Riley. 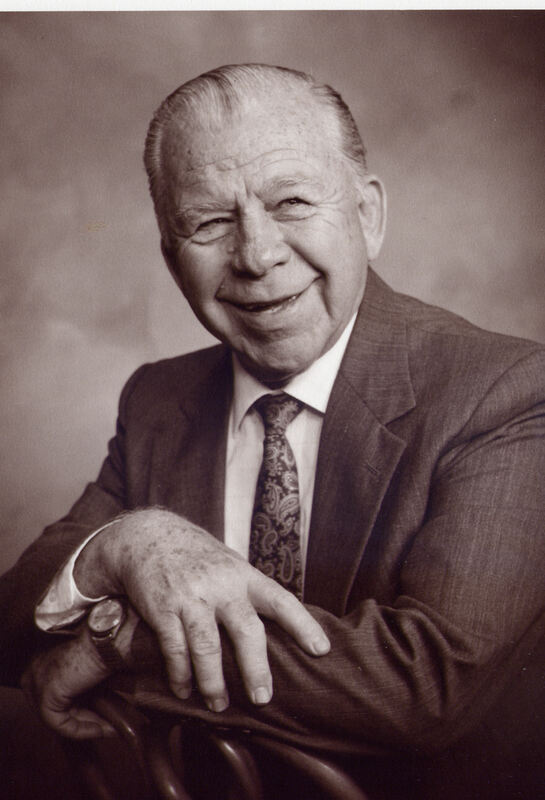 I’m so grateful for my knowledge of eternal families and that those who have moved on are not gone forever. I will see them again and the reunion will be sweet. 2. I just wanted to give a quick update on my condition. 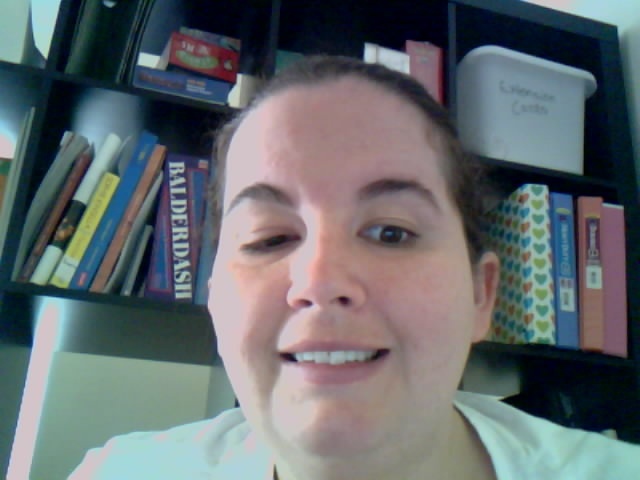 My eye is still sore and I cannot completely open my eye. Each day it is hurting less and less. It is nice, with today being a holiday, I have one more day to heal before getting back to full time work. My mom isn’t here anymore to take care of me, which is a little sad, but I’m grateful to have had her for 5 days! My apartment feels quiet now that it is just me again. Even though I was recovering it was nice to have time to chat. It kept my mind off of the pain and kept me from touching my eye as much. 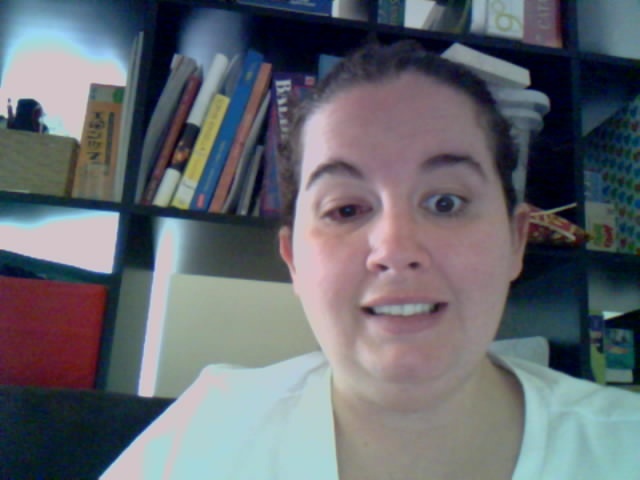 Anyway, its still sore, red and swollen but it gets better each day. I am also seeing double less. Hopefully I will continue to improve. I will see the doctor on Thursday and that will be the key to see if the surgery has been effective. Please keep those prayers coming. I don’t want to go through this again! Some people have to get the strabismus surgery 5 or 6 times! Hopefully I can just keep with the one surgery. The hardest thing is to not touch it. It itches and stings. I’m not the greatest at keeping away from it, but I’m doing my best. It really is irritating. Oh well! At least it is improving each day. 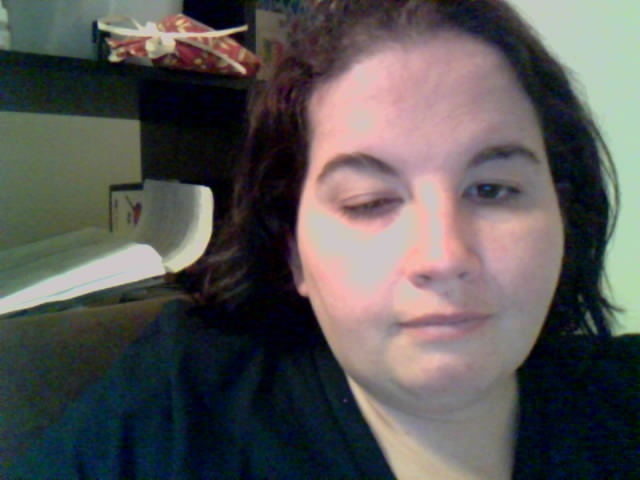 I think you can see some improvement; although, I still can't open my eye completely and it is sore and red. You can see how puffy it is from me rubbing it...Bad Rachel! here's a photo with a little more of my eye showing. I hope you all have a great Memorial Day. Please spend a moment to remember those that have passed on. I feel especially grateful to the servicemen who have died to protect freedom. There has been a high cost of freedom. Thank you with all my heart.